Residents will now be receiving polling cards for an extra election this year. 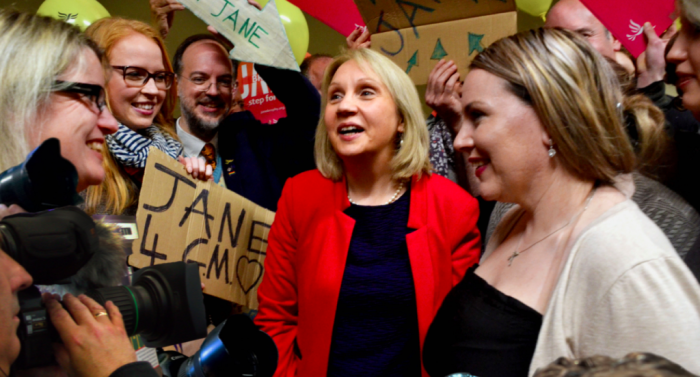 Voters across Greater Manchester will be asked to vote for the first elected ‘Mayor of Greater Manchester’. Voting takes place on Thursday 4 May 2017. If you don’t already have a postal vote but would like one, you can download form here. If you’re not registered to vote then you can find out how here. People who already have postal votes will be sent postal votes for the Mayoral Election in late April 2017. The ‘Greater Manchester Elects‘ website has basic information about the election. The Liberal Democrat candidate in the election is Jane Brophy. Jane is an experienced councillor representing the Timperley area on Trafford Council. She works in the NHS and someone the Lib Dems in Bury have worked with over many years on campaigns together, for example on the GMSF, on Metrolink and on environmental issues. Find out more about Jane on her website here.